“My teacher wants you to sign my test,” my son said as he placed a paper quickly on the table nowhere near where I was sitting and walked out of the room. My curiosity rose. Clearly, he was not eager to show it to me. Glancing at the content, it was immediately recognizable – the science test for which he had genuinely studied. But it appeared as is if he hadn’t cracked his book. How was this possible? I asked what happened. And I began to understand when he said: “Mom, it was ‘bring-your-pet-to-school’ day.” My son is allergic to all animals furry. It’s an intense allergy that often ushers in a two-week sickness with wheezing and misery. Yet, and perhaps not surprisingly, there’s nothing my son loves more than animals. So, on “bring-your-pet-to-school” day, it’s a painful reminder of his heartache over not having a dog or a cat. He came home that day and ran straight to his room – upset. It’s no wonder that a test he was well prepared to take resulted in failure. He couldn’t focus. The acute sadness about his unique position among his classmates – that he remained pet-less – took over his ability to think. The ability to manage our most intense emotions can challenge even the most studious child making it impossible to focus. Children are faced with this issue not only in the midst of an important test but even on the playground when they are stopped in their tracks unable to respond after a classmate taunts them with cruel words like “No one likes you!” Or, at home, our child may run away from you, shut her door, and refuse to come out when we need her to attend a family-obligated event. This inability to focus on a test, to respond to a bully on the playground, or to constructively communicate about an undesirable event is evidence of what is happening in a child’s brain – indeed anyone’s brain – when they are highly emotional. 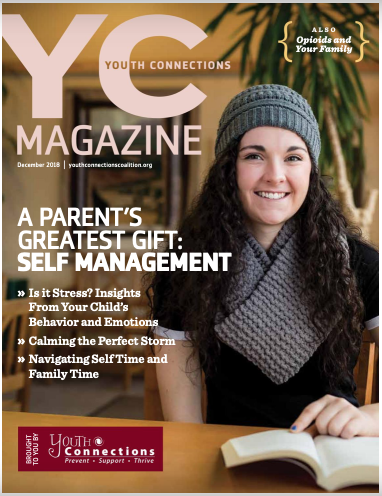 Read the full article here which includes simple strategies for parents to help build the skill of self-management in children at various ages and stages. It just may be a parent’s greatest gift. ← What Holidays Are Celebrated Around the World? Thank you! I agree. I pray too. Thanks Ma. Love!